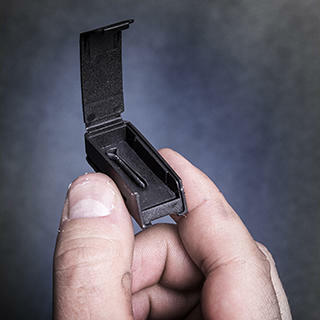 "Designed to contain nearly every instrument an AR15 owner could ever need." WHEN DUTY CALLS – THIS IS THE ANSWER. When it comes to keeping your AR15 going bang and getting the most for your buck, Gun Tool Pro-AR15 is the clear choice. 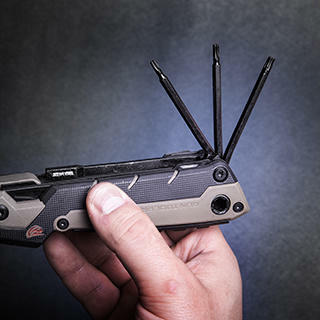 Thirty-five highly capable tools in a tactical, rugged design work with ease and precision to keep black guns firing reliably and accurately. 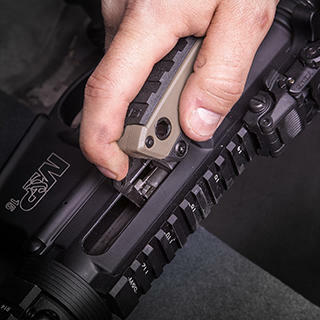 From teardown and carbon scraping, to maintenance and reassembly, the Gun Tool Pro-AR15 is the partner to have in the field, at the range, or on the workbench. 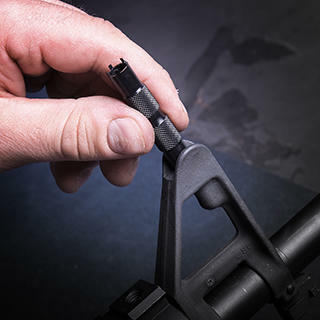 Precision cut faces on the carbon scraper quickly clean all external and internal surfaces on the bolt, bolt carrier, firing pin (large and small), and cam pin. These surfaces are precision milled to out-clean anything else on the market. A knurled, steel tap hammer at the base of the handle stands ready to assist you in punching stubborn pins. A deployable 8-32 threaded receiver accepts common cleaning rods, cables, brushes, and other maintenance implements. Also included are T10, T15, T20 Torx® wrenches. 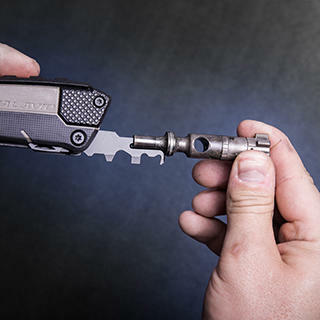 A unique, quickly accessible tool deploys instantly to clear jams, remove stuck cartridge cases, and put the rifle quickly back into firing mode. 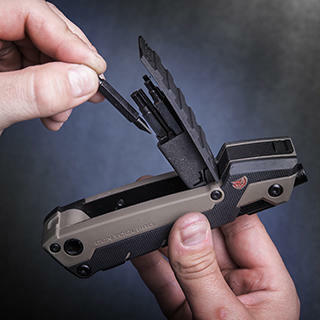 Carried in a custom sheath compartment, the stainless steel sight tool quickly handles adjustment of both A1 & A2 style sights. The barrel is knurled for solid grip and precision adjustments. 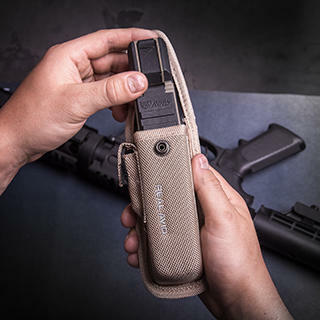 The tool folds down to fit in the ballistic nylon, MOLLE-compatible sheath easily carried on your belt, pack, or range bag. The sheath also secures the front sight adjuster tool. A special flip-open, magnetized compartment on top of the frame securely stows and holds tiny components so you won’t lose them and waste precious time searching for them.